ANKARA – The Turkish Foreign Ministry said Saturday that Greek Defense Minister Panos Kammenos’s recent remarks about Cyprus were bearing "a provocative tone." 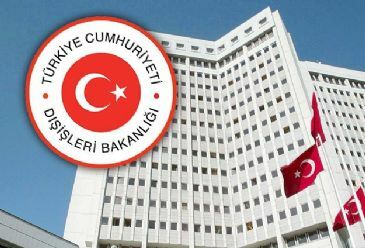 “It is obvious that such actions and statements will not contribute to preserve peace and stability in the Eastern Mediterranean, to further develop Turkish-Greek relations, to the ongoing negotiation process towards establishing a new partnership in Cyprus,” the ministry statement said. The foreign ministry's remarks came three days after Kammenos said the Cyprus problem remains a subject of “invasion and occupation” for the Greek government. Greece's Kammenos criticized the presence of the Turkish seismic vessel Barbaros in the Exclusive Economic Zone in the eastern Mediterranean, calling it a "provocation." Kammenos also said Greece plans to conduct a joint drill with the Greek Cypriot administration, Israel and possibly Egypt in the coming months. The ministry added that Turkey wanted both sides to engage in the development of a friendly relationship, but was disappointed by "Greek Defense Minister's initial actions and his statements during his visit to the Southern Greek Cypriot Administration," which held "a provocative tone, to say the least." The statement added that Greek authorities are expected to maintain a responsible attitude in terms of both regional security and Turkish-Greek relations.